Blurb Holiday Gift Guide and 20% off Discount Code! October 3, 2013 · by Katie · Post may contain affiliate links. See my disclosure policy here. Have you heard of Blurb? It's a website where you can create your own high quality custom book! How perfect is that as a gift for a loved one this holiday season?! 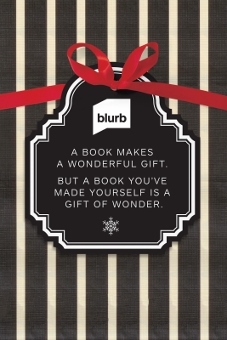 You can find lots of great inspiration for your own book in Blurb's 2013 Holiday Gift Guide! My personal favorites are the Family Photo Books and Cookbooks. This is such a fun, creative and thoughtful gift that is sure to be a huge hit with your loved ones! The gift guide not only serves as inspiration, it also has instructions for creating your own Blurb book. Good news! Now through 10/7, get 20% off your Blurb book with discount code EARLYBIRD20. No minimum, up to $100. This Domain is for Sale. Contact Zack at [email protected].